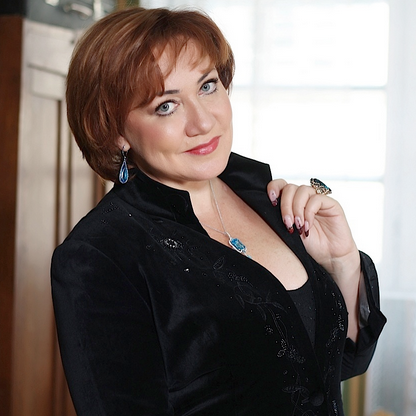 The end of September saw Olga Borodina perform Mahler’s Rückert-Lieder with the Bayerisches Staatsorchester under the baton of Russian conductor Kirill Petrenko. Ms Borodina gave two performances of the song cycle (29.09 & 30.09) at the Bayerische Staatsoper – Bavarian State Opera House, Munich, to great acclaim. Ms Borodina’s upcoming performances include a 7 night run (October 30; November 4, 7, 12, 15, 19, 22) of Aida at the Metropolitan Opera, New York, in which she will perform the part of Amneris. After an explosive start to month with season openers at the Shanghai Symphony Orchestra and the Orchestre de Paris, Maxim Vengerov continued his impressive run with recitals at Musikverein (Vienna) and recently built Saffron Hall. 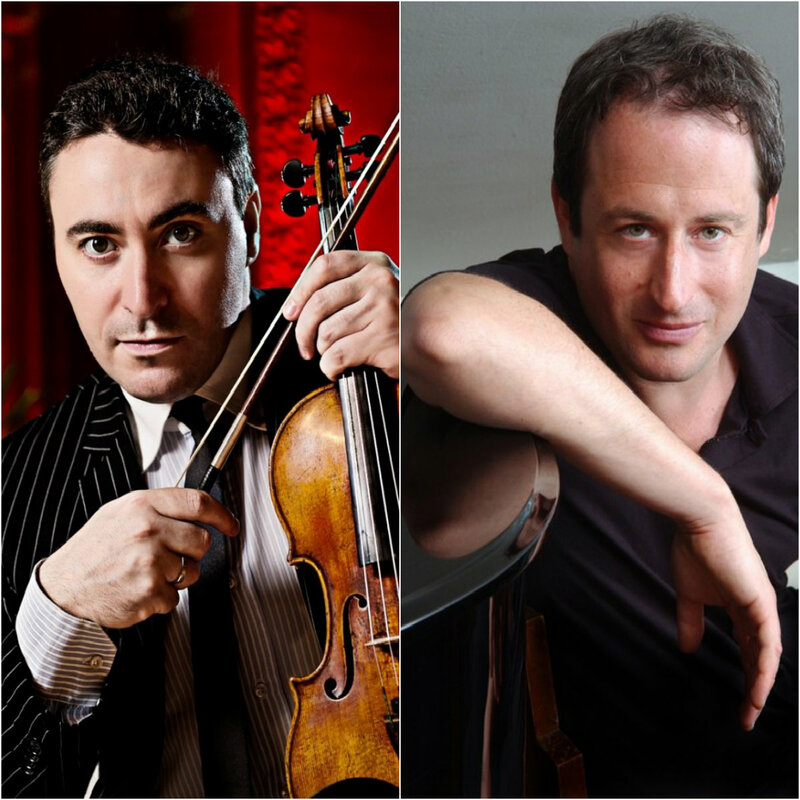 Accompanied by his regular recital partner Itamar Golan, the first half saw Vengerov performing Elgar’s violin sonata followed by Prokofiev’s violin sonata No.1. The second half featured a series of romantic virtuoso shorts which to the audiences delight, were interspersed with commentary about their history from Vengerov himself. Vengerov was thoroughly impressed by the acoustics of the new concert hall in Saffron Walden, Essex whose program and overall direction was placed into the knowing and expert hands of Barbican’s ex Head of Music, Angela Dixon. For more information on either concert please click on the links above. On the 10th and 11th of September Maxim Vengerov opened the Orchestre de Paris 2014/15 concert season at the Salle Pleyel performing, to the audiences delight, the Brahms violin concerto conducted by Paavo Järvi. For all reviews of this concert please click here. The end of September will see Maxim Vengerov back in the U.K and in recital with pianist Itamar Golan at Saffron Hall (27/09) – a brand new concert venue in Saffron Walden, Essex, under the direction of the Barbican Centre’s previous Head of Music – Angela Dixon. 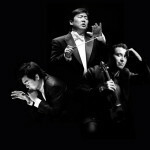 The first, an inaugural concert for the opening of the Shanghai Symphony Hall – a brand new, 1,200-seat symphony hall, will feature Maxim Vengerov performing The Butterfly Lovers’ Violin Concerto, a modern Chinese work composed by Chen Gang & He Zhanhao in 1959. The concert will also feature pianist Lang Lang, mezzo-soprano Ildiko Komlosi, and the SSO conducted by Maestro Long Yu. 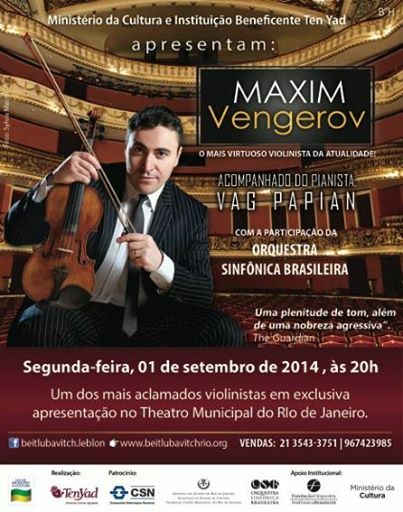 The latter concert, which is the SSO’s season opener will see Maxim Vengerov performing the Brahms Violin Concerto. 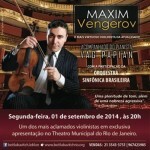 The end of August saw Maxim Vengerov in Brazil completing a mini tour with pianist Vag Papian. Comprised of two concerts and a master class, the tour saw Maxim perform at the Teatro Municipal of Sao Paulo (24.08) and Rio de Janeiro (01.09), the latter of which was a benefit concert also featuring the Orquestra Sinfônica Brasileira. The master class took place in Sao Paulo with children from the Orquestra Maré do Amanha, and was filmed by Globo.TV. A snapshot of the master class can be found here.